And less as picture books." 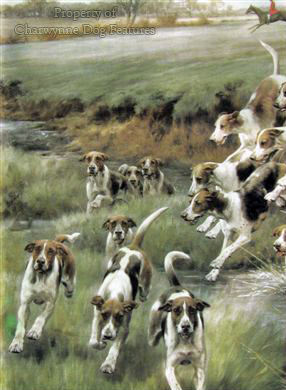 Those timeless words, from an imaginary Foxhound, by the famous hunting man 'Ikey' Bell, always come into my mind when I visit a houndshow, whether the one at Stafford each year for the hound breeds recognised by the Kennel Club or the one at Honiton for hounds of the pack. Of course, any hound presented 'on the flags' has to be judged on its physical appearance, rather than its scenting powers, stamina, speed or sagacity. Running hands over the exhibits and then examining feet and 'bite' allows more detailed information to be obtained. I was therefore disappointed at the Honiton show to see that only the minkhound judge checked mouths and no judge looked at feet or conducted a hands-on examination of the hounds exhibited under him. Does jaw construction no longer matter in the hunting packs? Judges at KC-licensed shows nearly always look at mouths. Their critiques reveal their findings; Belgian Shepherd Dogs: "I was horrified to find so many bad mouths in the males..." Samoyeds: "Most worrying was that we have a number of bad mouths creeping into the breed." German Wire-haired Pointers: "Teeth are only a small aspect of the dog but we ignore it in our breeding programmes at our peril." Boxers: "I was very surprised by the number of bad mouths...a bad mouth is very difficult to breed out." We all remain ignorant about the state of mouths in the hounds shown at Honiton in 1999, but ignorance is not bliss when mouths are being passed on down the generations. Do feet too not matter in hounds expected to run twenty miles or more in a day? An examination of the pads can tell you quite a lot about the construction of the limbs and their joints. Judges need to check the wear on the pads; excessive disproportionate wear on either the outer pad or the inner pad, and the nearest toe-nail, tells you at once that the dog's weight is not evenly distributed. That can only mean a construction fault and a needless handicap for the hound. Fragile or brittle toe-nails are a liability to a hound too; why not judge hounds on their 'fitness for purpose'? 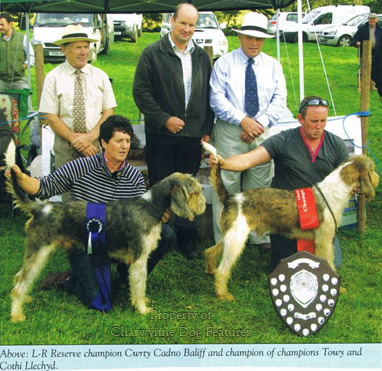 If the Honiton houndshow judges are not going to conduct a thorough physical examination, then rosettes, and possibly breeding plans, are going to be ill-destined. At the 1999 show I was disappointed to see some of the long acknowledged scenthound flaws creeping back in: fleshy feet, bunched toes, toeing-in, over-boning at the knee and forelegs arrow-straight when viewed from the side, allowing no 'give' in the pasterns. In the second half of the 19th century, the Foxhound fraternity lost its collective head, prizing massive bone, knuckling over at the knee and toeing-in, during what the well-known hound writer Daphne Moore dubbed the 'longhorn' era. If experienced huntsmen can lose their way so catastrophically, it is hardly surprising if breeders of breeds recognised by the KC - who do not 'work' their animals - get lost sometimes. The draughtdog bone strangely desired in the Mastiff, the muzzleless Bulldog and the long list of terrier breeds with upright shoulders, despite their breed standard, exemplify how breeders and fanciers can lose their way. Dogs, hounds especially, are functional creatures, subject to our whims. If those whims lose sight of function then a dark shadow looms over a breed. As Wordsworth once wrote: "The Form remains, the Function never dies." However disappointing the judging and the odd hound with obvious defects, a show like Honiton is a joy to visit if you admire fit dogs, dogs in tip-top condition. At KC-licensed shows, the lack of fitness amongst most of the exhibits is a cause of concern. Judges, in their critiques, mention poor movement in breed after breed; a fit dog will always move better than an unfit one. Old-timers knew this and resorted to roadwork, not just to tighten up the feet but to improve movement. The packhounds at Honiton were supremely fit and it is such a source of pleasure to see such animals on the move: effortless power, utter harmony, perfect balance, rippling muscles, coats with a real bloom. I have friends who hold strong views on hunting but who can wax lyrical about a pack of hounds simply flowing over the countryside. With more foreign scenthound breeds now becoming known in Britain: the Basset Fauve de Bretagne, the Hamiltonstovare, the Grand Bleu de Gascoigne, the Norwegian Lundehund and the Petit Basset Griffon Vendeen all introduced fairly recently, we are becoming less insular in our outlook. Sir John Buchanan-Jardine wrote a book entitled 'Hounds of the World' in 1937, without mentioning the hounds of the Scandinavian, Balkan, Baltic or Eastern European countries, or indeed the sighthounds! A more accurate title would have been 'The Scenthounds of France, Britain and America', but his choice of title reveals, to me, the thinking: 'only these hounds are worth covering'. When working and living three times in Germany, I came across the German, Austrian and Swiss hounds and found much to admire in the Alpine Dachsbracke, the Austrian Hound, the Bavarian Scenthound, the Hanoverian Hound and half a dozen Swiss hound breeds, large and small. The Scandinavian and Baltic hound breeds were very much in evidence when the World Dog Show was held in Helsinki in 1998. The FCI recognises the Estonian Hound, the Gotland Stovare and the Russian hounds. Hound breeds from Greece, Yugoslavia and Slovakia are coming to the fore. Our KC recognises the Foxhound but not the Fell Hound, the Dumfriesshire Foxhounds, the Harrier or the Staghound. If the latter two types are not hunted in the future, it may well be a question of deciding whether a show ring future is better than none at all. The Otterhound now features in the show ring as well as in the Minkhound packs. I believe it is incorrect to argue that packhounds are just that and could not adapt to life as companion dogs. They are all 'walked' as pups in farming families and well socialised as a result. They are also steady to stock and not dog-aggressive. The American packhounds are probably outnumbered by the 'bobbery' packs kept by groups of individuals there, with the hounds of the latter bearing highly unusual names: Big 'n Blue (American Blue Gascon Hound), Black Mouth Cur, Bluetick Coonhound, Treeing Tennessee Brindle, Redbone Coonhound, Redtick Coonhound and the Plott Hound from the Great Smoky Mountains of Tennessee and North Carolina. 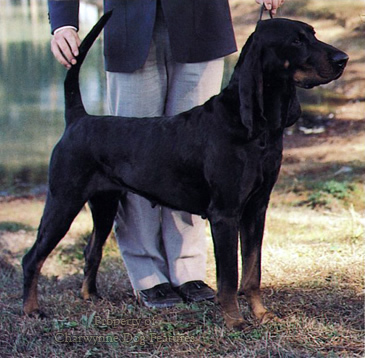 The Black and Tan Coonhound and the American Foxhound are recognised breeds, with the latter having three strains in the South: the Walkers, the Triggs and the Julys or July-Birdsongs. It would be a brave kennel club which tried to distinguish breeds from strains in this long list. But they all breed true to type, excel in the hunting field and perpetuate the blood of many European scenthound breeds, mainly French and English. From the Louisiana bayou, the Ozark Mountains and other remote areas came French 'Staghounds' or Blue Gascons, with the Bluetick Coonhound claiming the blood of the French breed of Porcelaine. The Black Mouth Cur, known affectionately as 'Ole Yellers' from their golden yellow coats, are more like running mastiffs, two feet at the withers, 90lbs in weight, usually with a black mask and muzzle -- the classic mastiff phenotype. 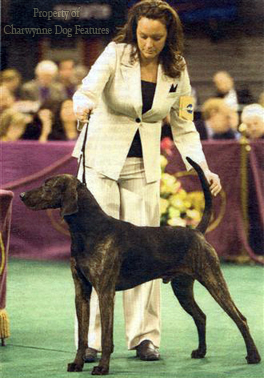 The dramatically named Catahoula Leopard Dog is used more as a herding dog by some owners, but in its characteristic black merle jacket is very similar to the Norwegian Dunker Hound. Great Danes can feature this coat colour but cannot be registered out of fear of genetic abnormalities. The much sought after black merle lurchers bred by my namesake however are genetically sound, with an international reputation as top quality all-round hunting dogs. The Russians still have their Harlequin Hound, linked by many with the Harlequin Great Dane. The Moscow Society of Hunters and Fishermen stage an annual exhibition, attracting over a thousand dogs. 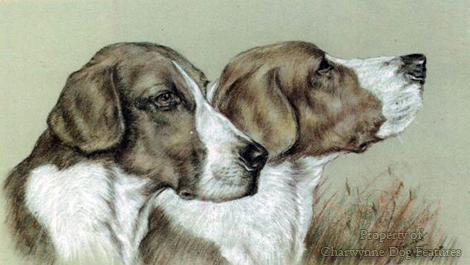 There you can see Russian Hounds (a breed similar to the Finnish Hound and the Estonian Hound), Russian Skewbald or Piebald Hounds and the Harlequin. I understand that the Dynamo Sport Society of Tula developed a uniform, high quality pack of 'Harls' for use on wolf, leading to these dogs being used to upgrade stock elsewhere in Russia. As the geneticists Little and Jones have shown, the harlequin white is dominant over solid colours, i.e. tan, black, etc but the factor can have a semi-lethal dimension, different again from that of the Dunker Hound's. Germany makes far too little of its scenthound breeds, which is surprising when you consider the quite astonishing popularity of their breeds like the Shepherd Dog, the Rottweiler, the Dobermann, the various pointing breeds and the Dachshund. The Romans recorded two types of hound used by the Sicambri, a powerful German tribe based on the east bank of the Rhine from the Sieg to the Lippe. The smaller hound was referred to as 'petronius' or 'petrunculus', leading to speculation that these hounds were either famous for their robust feet or running capably over rocky terrain, 'petra' meaning a rock. I believe that the 'stonehound', steinbracke in German, steenbrak in Dutch, was named after the striking and highly individual stone-blue colour of its coat. The blue fox is similarly named steinfuchs in German. The Nederlandse Steenbrak or Oudhollands Steenbrakje (old Dutch small hound) is not yet fully recognised as a breed, but the FCI does recognise the German breed of Steinbracke, better known in Germany itself as the Deutsche (Sauerlander) Bracke or German (Sauerland) Hound. 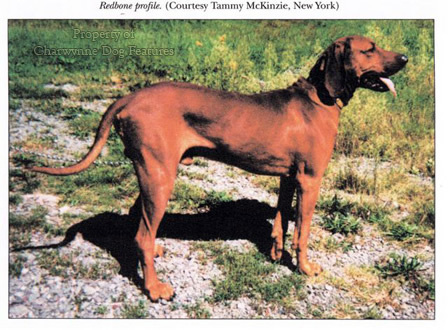 In many of the old German and Dutch hounds, the bone structure is lighter and flatter than most scenthound breeds, with the longer ears of the French hounds, but hanging flat not turned as in the Bloodhound. Steenbrakken, most unusually for a scenthound breed, can be long-haired as well as short-haired; both this breed and the Sauerland Hound have a characteristic flesh-coloured stripe up over the nose. 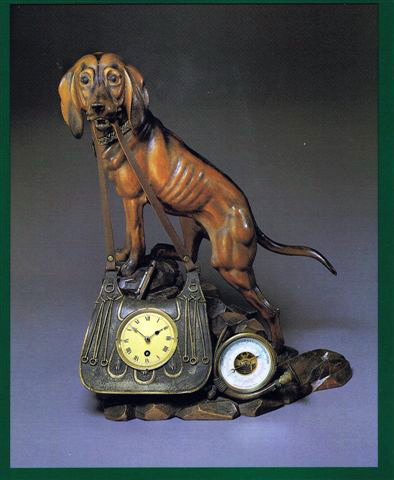 This was I believe a feature too of the old Flemish hounds and can be found as well in the Dunker Hound. Anyone contemplating the writing of a book entitled 'Hounds of the World' has a job on their hands if the title is truly to reflect the text. 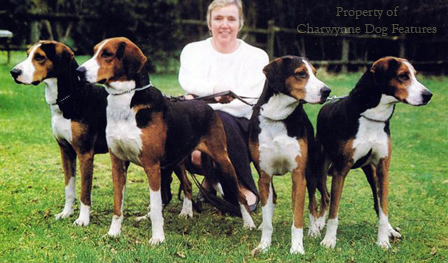 We are rightly proud of our packhound breeds and very aware of the merit of the French breeds. But we have long been dismissive of the lesser known scenthounds from more remote smaller countries or remote areas of bigger countries. The recognition of breeds is a haphazard matter in any country; our Foxhound has more varieties than the Belgian Shepherd Dog or the Dachshund, without earning a name for each of them. Our Harrier too has its Studbook and West Country varieties. In France, where they even name their crossbred hounds as distinct breeds, like the Beagle-Harrier, the Anglo-Francais and the Briquet Griffon-Vendeen, this would have soon been resolved. I believe the division of hounds into two categories: scent and sight hounds is too arbitrary. All hounds hunt by sight and scent; the scenthounds succeed in the hunt because of their stamina, the sighthounds because of their speed. But where do the 'par force' hounds fit into this? 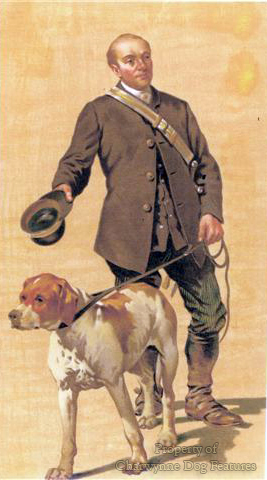 They hunted, and in some countries still do, 'at force' using scent and sight, being represented today by breeds like the Great Dane, the Rhodesian Ridgeback, the Dogo Argentino and the Black Mouth Cur. And what about the hunting mastiffs used to close with big game and then 'hold' it, represented today by the mastiff breeds? They were the heavy hounds but languish in the Working Group. The kennel clubs of the world are guilty of neglecting the rich heritage behind their native breeds of dog. As 'Ikey' Bell's words on the Foxhound so aptly put it: "Cherish us for our courage, Instead of for our looks". We have never recognised the courage of the heavy hounds, just grouped them for our bureaucratic convenience and shame on us for that!